One of the biggest Nigerian songs of 2018 was the Duncan Mighty x Davido and Peruzzi collaboration, 'Aza'. We have seen Davido's biography, we have seen Peruzzi's biography and today we will be visiting Duncan Mighty. The Port Harcourt born singer came into limelight in the early 2000s, but somewhat disappeared and then in 2018, reappeared with a bang and collaborations with the likes of Wizkid, Tiwa Savage, Lil Kesh, Davido and Peruzzi. We will be seeing Duncan Mighty's biography, date of birth, age, family, parents, wife, children, early life, music, albums, not worth, houses, cars, social media handles and everything else you'd love to know about him. Don't forget to drop us a comment and share to your friends at the end of the article. Born on the 28th of October, 1983, Duncan Wene Mighty Okechukwu better known as Duncan Mighty is a Nigerian entrepreneur, musician, music producer, singer and song-writer. He was born in Obio-Akpor, Rivers State and has lived most on his life in the Western Part of the country. Most of his songs are sung in, or contain some elements of his Ikwerre dialect of the Igbo Language and he released his debut album, 'Koliwater', in 2008 and the song was a commercial success. The 22-track album contained some popular songs like 'Scatter My Dada', 'Ijeoma' and 'Ako Na Uche'. It was generally accepted by music lovers across the nation. His second album, 'Ahamefuna' (Legacy)was released 2010 and had about 15 songs. It was also a huge success and contained tracks like 'Obianuju' and 'Port Harcourt Son'. It brought him international recognition and as well, grew his fan base. He received three nominations at the 6th Annual NEA Awards in the year 2011 and also won the 'Indigenous Artist of the Year'. 2012 September, Wene Mighty as he is also called released his third album, 'Footprints' and it had a total of 18 tracks with guest appearances from Shaggy, Timaya, Wande Coal and Sandaz Black. He is also a UN Peace Ambassador. 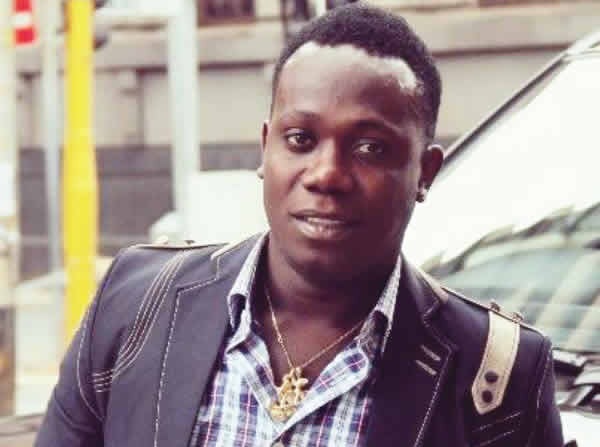 Talking about his youthful life, Duncan Mighty had always been interested in music. He played drums in church and was the choir director. He was also an instrumentalist and studied Audio Engineering in the university. While he was still doing his NYSC, Duncan Mighty served as a sound instructor for Benson and Hedges, and had previously worked for the Dolphin Studios while he was on IT at the Muson Centre, Lagos. He had always had a keen interest in music production, and eventually started recording music together with production. In 2016, Duncan Mighty returned to Port Harcourt city and then he first rendered his services to record companies, 360 Records and D Large Records. After that, he began a partnership with celebrity jeweller, Chris Aire to form the AireMighty Records. In 2017, his father, Mr. Okechukwu passed on and he released his first album the next year. He is happily married to Vivien and they had their wedding on the 25th of July, 2015 in a private wedding with performances by top artists like Sammie Okposo and big guests like Phyno, Yemi Alade and Patoranking. Aside music and entertainment, Nigerian producer, singer and song-writer, Duncan Mighty is also into a good number of other businesses. He is currently estimated to be net worth $2 million. Duncan is a good user of the social media. What's more? Thanks for reading along. Don't forget to drop us a comment and share to your friends. Before you leave, also check out these 5 easiest ways to make money online from your Instagram handle. No3 and 4 are very hot!